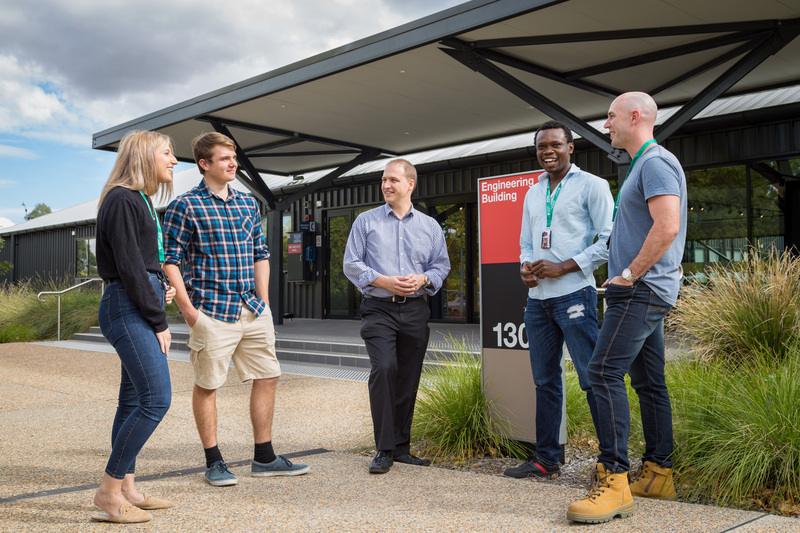 Charles Sturt University has been identified by Massachusetts Institute of Technology as one of the top four emerging engineering schools in the world, ‘completely rethinking what engineering education should look like’. The Massachusetts Institute of Technology (MIT) benchmarking study of global state-of-the-art undergraduate engineering was commissioned by the New Engineering Education Transformation initiative that canvassed opinions from a wide range of international experts. That Charles Sturt University (CSU) was chosen among a small group of universities as an emerging leader in engineering education alongside University College London, Singapore University of Technology and Design and University of Technology Delft is a remarkable achievement. CSU Vice-Chancellor Professsor Andrew Vann said being able to influence global practice in engineering education demonstrates that innovation is alive and well in regional Australia. “We knew as the 37th engineering school in Australia we had to offer something unique and radically different to producing entrepreneurial engineers,” he said. Foundation Professor of Engineering Euan Lindsay said that his undergarduate program allows opportunities for students to explore and apply engineering learning through authentic problems through four year-long paid placements in the workforce. He added that treating student engineers as professionals in training is a cultural shift for university education and a defining feature of CSU Engineering, a new program that began in 2016. The first Bachelor of Technology/Master of Engineeering (Civil Systems) graduates will complete the degree in 2021. The program has neither formal lectures nor exams; instead learning is focused around project-based challenges where student engineers tackle authentic engineering problems supported by skills and knowledge content that they access at their own pace. Industry host organisations take on the engineering cadets to complete four year placements. With the course embedded in the Faculty of Business, students develop high level skills in engtrepreneurial attitudes, management, systems thinking and self-motivation that enable them to adapt to real world needs and demands of the profession.